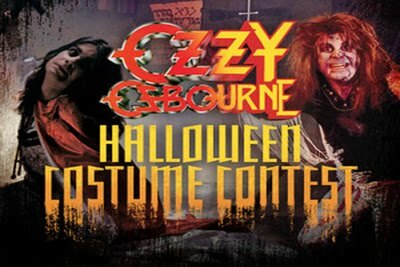 In the spirit of the season, Ozzy Osbourne has launched a new contest for fans. To mark the 30th Anniversary of Ozzy’s seminal first two solo releases, “Blizzard Of Ozz” and “Diary Of A Madman,” Ozzy’s “Diary of A MadFan Halloween contest” asks fans to submit photos of themselves dressed as Ozzy from one of the two album covers. The winner(s) have a chance to be a featured fan on Ozzy’s Facebook page, an Autographed Japanese limited edition 30th Anniversary Blizzard of Ozz / Diary Of A Madman Box Set, an Autographed poster, Ozzy’s ENTIRE solo cd catalog and a Replica of Ozzy’s iconic Gold cross. The contest is open now for submissions and runs until Sunday, October 30 at 11:59AM ET. For more details and to enter, check out Ozzy’s Facebook page here.